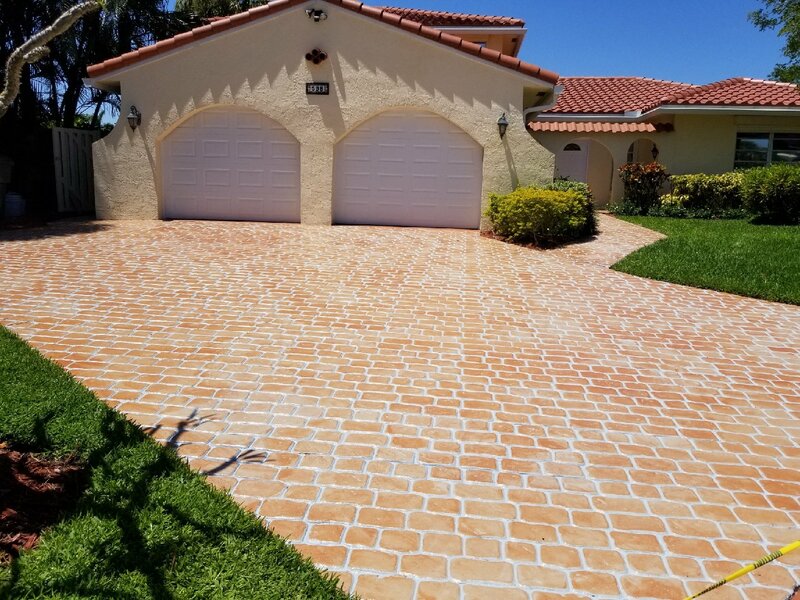 When it comes to creating a beautiful concrete surface – old or new and driveway, pool patio or walkway – you certainly cannot go wrong with custom coloring system for existing stamped concrete. Custom coloring system for existing stamped concrete can give an original, classy look that will turn boring old concrete into a work of art. 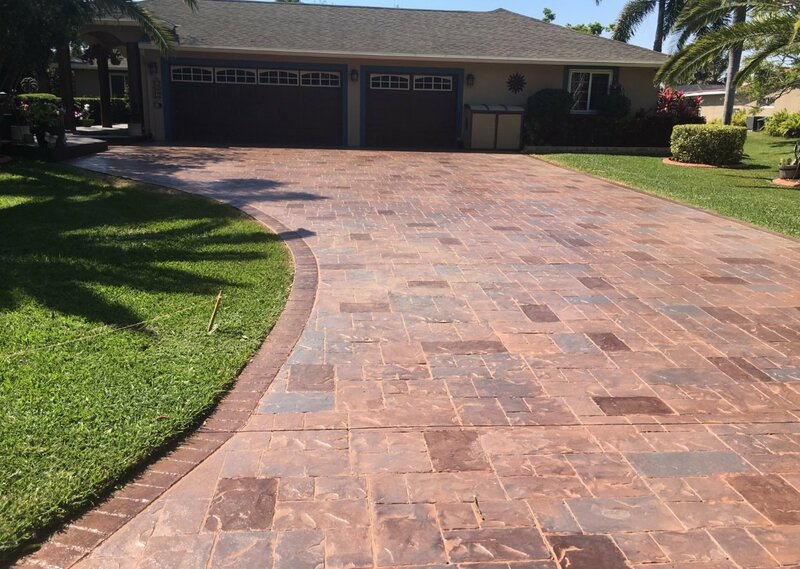 There are many cases we have seen over the 20 plus years in this business, where customers have spent a small investment in improving the curve appeal of their property with stamped concrete. When the best quality materials have not been used the stamped concrete will develop air entrapment and starts pealing. Most people have tried re-painting their existing stamped concrete several times but it continues to crack and peel which can be very frustrating and time-consuming. European sculptured stone specializes in a custom coloring system. We take existing stamped concrete driveways and transform them to look even better than they were, when they were new. The process in which this is done is by stripping down your existing stamped concrete back to it’s natural state. Any repairs where necessary are completed and we custom color to the choice and direction of the customer. Once the customer approves the coloring two applications of custom solvent sealer is placed on the existing stamped concrete. This makes your existing stamped concrete slip resistant, heat resistant, mildew resistant, and stain resistant. All work is backed by a lifetime warranty program so that you will never have to worry about re-coloring your driveway or pool deck again. Bring Your Existing Stamped Concrete Back To Life! It doesn’t matter what kind of concrete you have – driveway pavement, walkway, pool deck, patio, etc. – the custom coloring system for existing stamped concrete can give it a new life. If you’re tired of looking at the “lifeless” concrete surrounding your home, it’s time to give it the custom coloring system for existing stamped concrete. Call us for your free estimate at 954-533-9309 and see how we can help you give it some “life”.